We've put together a short list of links we hope you will find useful. Please let us know if you have a suggestion for a link or two that would be of interest. NBT bank – (http://www.nbtbank.com/home/business-main/business-banking/Business-Lending.html) offers business banking, commercial mortgages, letters of credit, and lending for capital improvements or to purchase equipment. Rapid Reproductions http://www.rapidone.com/ – business printing needs. Blueox - http://www.blueoxenergy.com/ energy efficiency measures for your business. Woollybear Web – http://www.woollybear.com business website development and hosting. Oxford Lions Club http://www.oxfordlions.org/ – both offer member support and community involvement. 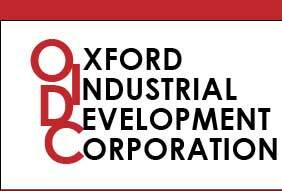 CCIDA (Chenango County Industrial Development Agency) of Norwich http://www.chenangony.org/ecodev/county-of-chenago-ida/ – offers benefits and economic incentives such as industrial revenue bonds (IRB), payment in lieu of taxes agreements (PILOT), tax exemptions, and civic facility bonds. U.S. Small Business Administration - http://www.sba.gov/ -helps find business loans, grants, business registration, and more. They offer a helpful SBA Business Plan Template (http://web.sba.gov/busplantemplate/BizPlanStart.cfm ) which can be presented as a final product. P.O. Box 252, Oxford, 13830. 6146 State Highway 12, Norwich, NY 13815. 416 Chestnut Street, Oneonta and 160 Main Street, Delhi, NY. 140 Randall Avenue, Norwich, NY 13815-3577. 5277 State Highway 12, Norwich, NY 13815 and 214 Main Street, Afton, NY 13730. 62 South Broad St. Norwich, NY 13815. 117 Ryberg Road, Mc Donough, NY 13801. 548 Holmesville Rd., Holmesville, NY 13843. 72 South Main St., Earlville, NY 13332. Multiple Listing Service (MLS). Servicing Otsego, Delaware, Chenango and Madison Counties.